Turkish President Recep Tayyip Erdoğan Sunday urged Muslim countries to "use every means available" to stop the "cruelty" perpetrated against Myanmar's Rohingya. 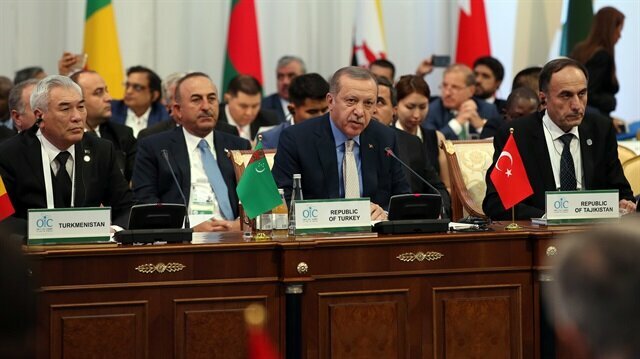 "We want to work with the governments of Myanmar and Bangladesh to prevent the humanitarian plight in the region," he told the opening session of an Organisation of Islamic Cooperation (OIC) summit in the Kazakh capital Astana. Erdogan said Turkey had offered aid and said he expected that Bangladesh authorities admit and help Rohingya Muslims fleeing the violence in Myanmar. "International organizations, and we as Muslim countries in particular, should fight together by using every means available to stop that cruelty," he said. Erdogan had previously promised to raise the Rohingya issue at the annual meeting of UN General Assembly later this month. Rohingya, described by the UN as the world’s most persecuted people, have faced heightened fears of attack since dozens were killed in communal violence in 2012. 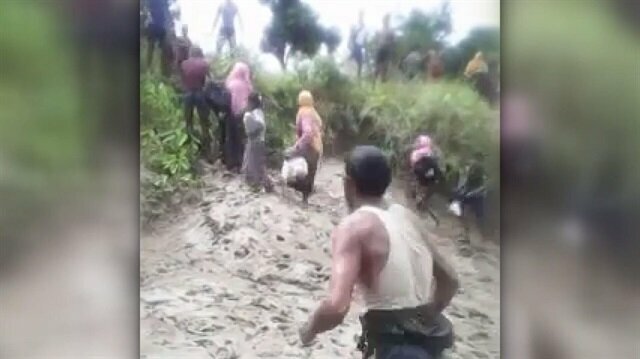 Last October, following attacks on border posts in Rakhine’s Maungdaw district, Myanmar security forces launched a five-month crackdown in which, according to Rohingya groups, around 400 people were killed. The UN documented mass gang rapes, killings -- including infants and young children -- brutal beatings and disappearances committed by security personnel. In a report, UN investigators said the human rights violations constituted crimes against humanity. Fresh violence erupted in Myanmar's Rakhine state nearly two weeks ago when security forces launched an operation against the Rohingya community. Bangladesh, which already hosted around 400,000 Rohingya refugees, has faced a fresh influx of refugees since the security operation was launched. On Saturday, the UN said at least 290,000 Rohingya have sought refuge in Bangladesh. Erdogan arrived in the Kazakh capital on Saturday for a two-day visit. Bodies of Rohingya children washed ashore after the boat carrying them capsized off Bangladesh's southeastern coast in Cox's Bazar, Bangladesh on September 6, 2017. They drowned after attempting to flee the massacre in Myanmar which has displaced approximately 150,000 people.